A guy looking to buy a BlackBerry PlayBook for his wife, spotted one for sale on eBay. The eBay listing said that the device would not boot up, but the buyer bought it thinking that he would be able to fix the problem. So far, so good. When the unit arrived, the buyer was a little stunned because what he had purchased was a BlackBerry PlayBook 4G Evaluation Unit. It is not a secret that a 4G edition of the 7 inch BlackBerry tablet was being worked on by RIM. It was even introduced a year ago when Co-CEO Mike Larzaridis said it would be launched in the second half of last year. 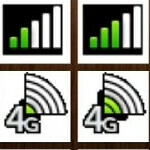 We also told you that 4G icons for the PlayBook had been discovered in the Playbook 2.0 developer beta. Unfortunately though, this model remained bricked, most likely when the original owner tried to update it with PlayBook 2.0. And in case you were wondering, the unit was sold on eBay "as is". The buyer isn't so much worried about the money he lost. His main concern is that he purchased a stolen device and soon will be wearing prison garb and getting three squares a day courtesy of the taxpayers. In case you are wondering, the tablet does say, "Property of Research in Motion Limited" Evaluation Unit. Not for sale or lease." Easy solution: contact RIM and offer to give it back. 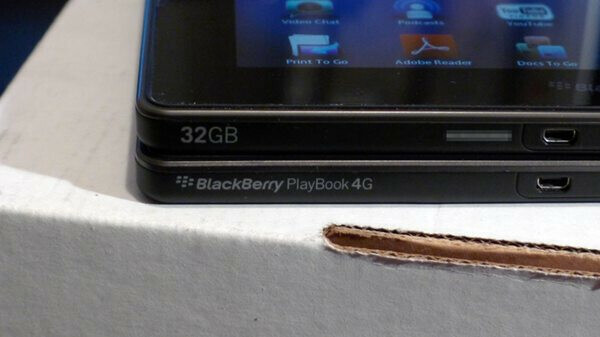 Since the buyer clearly wanted a Playbook (and since its now publicized), RIM will probably just trade his for a retail version. "the buyer was a little stunned because what he had purchased was a BlackBerry PlayBook 4G Evaluation Unit" Did you miss this part? Or is reading comprehension > you? I agree! Who gives a rats a** about RIM. what carrier would pick up the playbook? I believe Sprint and Verizon both offered the Playbook WiFi and at least Sprint had committed to releasing a Playbook 4G with WiMax, that was until they decided to change to LTE. If recent Playbook sales meet RIM's expectations, they may move forward with releasing an LTE Playbook in the future. OS2.0 is much better than the previous version. And with Android apps, it has a lot of potential. Besides, where else can you get a tablet with Playbook specs for under $200. 1GHz TI OMAP Processor 1GB RAM Dual 1080p cameras 5mp rear and 2mp or 3mp front Slick OS with awesome multitasking Excellent build quality 7" form factor is great for portability (some prefer 10", I know) I bought a 16GB from Sprint for $199 and it is an excellent little tab to carry around and do just about anything. I've had my PlayBook for nearly a year now and I have to say it's my primary computing device. Especially when it comes to web browsing. The browser is just phenomenal. The apps have been getting better and now with Android apps being ported over that's just another feather in the cap. With all the PIM apps there now, and they are very good, I don't understand why the media keeps beating up this wonderful device. They should have been there from the start, no denying that. But that's old news and they're here now. At the current price point, it's a hard one to beat. Way more function than the Kindle Fire.